If Dramatica is a theory of story based on the psychology of the human mind, then it only follows that that very same model can be used to understand the narratives of our own lives. Real life can seem pointless at times, meaningless within the chaos of living day-to-day. Crafting a narrative gives context to the conflict, and offers meaning to our own experience. Stephen R. Covey’s quote “We see the world, not as it is, but as we are” is more reality than a truth because of the way our minds think. Externally we see Mass, Energy, Space, and Time because internally our minds consist of Knowledge, Thought, Ability, and Desire. The four dimensions of the outer world [Mass, Energy, Space, and Time] are reflected by the four dimensions of the inner world [Knowledge, Thought, Ability, and Desire]. In fact, each set is a reflection of the other with neither being the origin. Existence cannot be understood wholly from either a material or immaterial perspective. Perception is required to enable existence, and vice versa. Pretty heady stuff, but important to comprehend when it comes to transforming the events of our lives into a meaningful story. We see the outer world because of our inner world. There could very well be something more than Mass, Energy, Space, and Time Out there but we will never know—we only have Knowledge, Thought, Ability, and Desire to see them. That limitation, however, defines how we appreciate and understand and give meaning to the events in our lives. Transforming real live events into a story simply requires assigning contexts to those events and applying them to the Dramatica model. Take, for instance, the recent dramatization of Eddie “The Eagle” Edwards and his personal journey to the 1998 Olympics in Calgary in the recent film Eddie the Eagle. Writing [the original analysis of the film] earlier this week, I was surprised to discover that the Hugh Jackman character in the film, Edwards’ personal coach Bronson Peary, was completely made up. The filmmakers, accomplished and as experienced as they were, understood that without a proper [Influence Character][6621-0001] the film would flounder. In order to grow, Edwards needs a competing point-of-view to challenge and influence him to dig his heels in and stand his ground. This resoluteness, or [Steadfast Main Character][6621-0003] behavior, requires the presence of another world paradigm that changes because of that steadfast attitude. Casting Jackman as the down-in-out drunken has-been who eventually proves himself to his disappointed coach fulfills that necessary role and gives meaning to those real-world events. Meaning is a key word in this discussion and something that doesn’t come up quite often when discussing what really happened. As cynical as it may seem to say, real life has no meaning.1 I used to jokingly tell my CalArts students this every year—partly as a means of beating them down—but mainly because of the truth behind the statement and what it says about story. A functional narrative gives meaning to made-up imaginary events. A functional real-world narrative must also give meaning—but to events that have no inherent meaning. Doing this requires settings those events into a context for a narrative. Edwards’ personal struggles with his disability growing up and his lack of a skier’s physique was clearly the [Main Character Throughline][6621-0004]. The struggle to compete with other skiers more experienced and more skilled than him was clearly the [Overall Story Throughline][6621-0005] as everyone faced this conflict. For many this would be enough. Tell the story of this kid with a dream who finally saw it through. Unfortunately, taking that approach wouldn’t bring any meaning to the Audience beyond the fact that he did it. You could start the story later on in his life, just before the competition, or anywhere in-between and the meaning would be the same. The only way it could possibly mean something different is if you didn’t show whether or not he succeeded at the Olympics. Writing the story of Edwards this way would have resulted in a [Tale][6621-0016]. Here at Narrative First, and to most familiar with the Dramatica theory of story, [the tale is less than a story][6621-0006]. The tale says this happened, then this happened, and then this happened. End of story (well, really…tale). A complete story, or as Dramatica refers to it as a [Grand Argument Story][6621-0007], says that for all situations and circumstances where this problem comes up, the solution provided is the very best way to resolve conflict. Tales work fine in that one isolated incident. Stories manufacture an argument to an Audience an inspire them to use said resolution in their own lives. This is precisely the purpose behind Eddie the Eagle and any number of biopics that hope to inspire drive, commitment, and persistence with the events of their subjects. The Main Character Throughline and the Overall Story Throughline represent only one-half of the argument needed in [a fully functional complete story][6621-0008]. To merely rely on these two to carry a story is like participating in a one-sided argument: it works, as long as you don’t bring up any counter-arguments. To balance out those points-of-view a complete story requires an [Influence Character Throughline][6621-0005] and a [Relationship Story Throughline][6621-0009]. The former offers the Main Character a competing point-of-view regarding how to best solve the story’s central problem. The latter offers a counter to the conflict in the Overall Story by showing the Audience what those problems look like in a more intimate situation between two people. The filmmakers behind Eddie the Eagle understood this instinctively and thus, created the story of Bronson Peary, his fall from grace, and his eventual rebirth through his interactions with Edwards. Clearly, Edwards was not going to change his point-of-view. He needed someone else who would. [Story Judgment][6621-0012]: grants an emotional judgment of how things turned out—was it all a good thing or a bad thing? By combining these three Story Points together, the Author of a narrative builds the basis for their Grand Argument. The Main Character Resolve tells us which point-of-view won and the Story Outcome and the Story Judgment tells us what happens when that point-of-view wins. For example, look at Luke Skywalker in the original Star Wars. He constantly tests himself at every turn, in drag races at home, with Sandpeople out in the desert, and against super-cool space pirate Han Solo. [This constant testing gets him into all kinds of trouble][6621-0013]. Along comes space wizard Obi Wan Kenobi who basically tells Luke that everything and everyone remains unproven. You never know what can happen. This point-of-view challenges Luke’s and the two go back and forth on which one is best. Eventually Obi Wan’s perspective wins and Luke changes his resolve. The result is that the Rebels find a way to fight back against the Empire (a Successful Story Outcome) and Luke and everyone else feels great about how it all worked out (a Great Story Judgment). The original Star Wars argues that an approach of anything can happen is better, or more appropriate, than an approach of constantly testing your mettle. You will win if you think everything is unproven and you will feel great about doing so. Star Wars argues this and argues it well because of its complete narrative. Let’s look at something a little less cheery. In Macbeth, Shakespeare’s titular character—driven mad with ambition—murders anyone and everyone who even slightly resembles a threat to his sovereignty. He creates problems for himself because he is trying to avoid a dim future. This dim future exists because a bunch of weird sisters stop by to tell him some other guys would be king, but not Macbeth. Their mother-of-all spoiler alerts point-of-view challenges Macbeth and leads the poor sap astray. 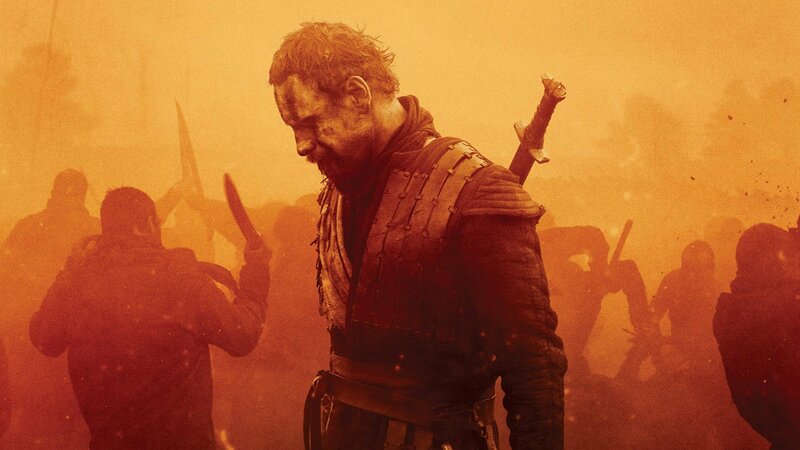 Eventually their bothersome meddling wins out and Macbeth changes his resolve, deciding to face Macduff head on rather than kill everyone else around him. Discovering that his enemy is indeed not “of woman born”, Macbeth accepts the witches prophecy and his own inevitable death. Macbeth loses his head, Fleance lives, and everyone—including Macbeth—feels worse for wear. In Eddie the Eagle, Edwards’ staunch determination is met with Peary’s bleak you’re-nothing-if-you-haven’t-demonstrated-yourself attitude. Eddie’s determination gets him into all kinds of trouble and all kinds of physical pain, yet he still stays the course. Eventually Eddie’s perspective wins and Peary changes his resolve, proving to his coach and to everyone else that he is no longer a has-been. This results in Edwards successfully competing in the Olympics and everyone involved feeling great for his courage and bravery. It also manages to give the events of Edwards’ journey meaning. The film argues that staunch determination is better and more appropriate than thinking you’re nothing if you haven’t proven yourself. You will succeed in doing what you always dreamed of and you will feel better for it in the end. It’s interesting and fascinating that this is the exact opposite argument presented by the original Star Wars. In that film, an unproven frame of mind can help you defeat an Empire. In Eddie the Eagle, an unproven frame of mind leads you to drunken bar fights and a shameful existence. Both stories work because the context of each argument is different. In Star Wars, the argument is made to move towards the unproven; in Eddie the argument is made to pull someone away from the unproven. In the real world, literally billions upon billions of contexts exists for a trillion different problems. There is no one right answer, no one “correct” story. You need a separate psycho-schematic (storyform) for each context. Our narrative in our job is not likely the same as that with our mate or in our church or when voting. But, personal narratives are fractal in nature, meaning that sometimes some of the narratives are actually elements in an ever larger narrative. This is not absolute, however, because the subject matter of our lives, en toto, is the narrative space in which the galaxies, solar systems, and satellites of our psyches operate. Sometimes they are hinged, sometimes they collide, sometimes they are warped by other near-by non-connected narratives, and sometimes they operate independently of all the rest. The key to formulating a narrative of your own life is to set the context for the problem you are exploring and keep it consistent.3 Figure out who the Main Character is in your story (most often yourself), the Influence Character who challenges you, and decide who eventually caved and gave in to the other’s point-of-view. Then determine how things turned out. Was it an all-out success, or did that capitulation result in failure for all involved? And finally, how did you feel about? Or the Main Character you are exploring. Were they able to overcome their own personal angst or do those issues continue to linger in their lives? How do you feel about how everything turned out? The construction of real life events into a narrative is a fascinating and insightful process. In the past few years, experts versed in the Dramatica theory of story have begun to explore the possibilities of finding meaning in our own lives—exploring everything from the future of television to public policy to even personal problem-solving. The results have been eerily prescient, productive in terms of formulating strategy and effective in resolving issues present since childhood. As Narrative First continues to grow, we look forward to offering our ability to pinpoint narrative to corporations, organizations, and even individuals. Personal problem-solving—or narrative therapy—and real world strategic narrative analysis for organizations will become cornerstones of our business. We are currently training individuals to become experts in this field and can’t wait to begin offering these exciting new services to you. Giving meaning to our life’s events is an important part of our human experience. We construct stories to make sense of the problems we encounter, and offer solutions to somehow heal wounds and progress through the evolutionary ladder of generations past, present, and future. If Narrative First is a place “where story is always king”, then may a better understanding of story and the narratives that drive our lives make us kings of our own sovereignty.